Since 1970 about 15% of the glacial ice has melted out at the “Third Pole”; the extensive region with high elevations in Asia that encompasses the Himalayan Mountains and the Tibetan Plateau. Warming is being amplified by a little-known feedback called Elevation Dependent Warming (EDW). A conservative estimate is that we will lose one-third, one-half or two-thirds of the ice with average global temperature change of 1.5 C, 2.0 C, and 4.0 C, respectively, threatening the water supply (and food supply) for up to 2 billion people. In most (but not all) high-elevation regions, like the Third Pole (Tibetan Plateau; Himalayan Mountains), Antarctica, Greenland, Rockies, Alps, etc. the higher up you go, the greater the rate of warming. This is not commonly known, but the rate of temperature rise is about 2x, 3x or even greater, at higher altitudes than at lower altitudes, in a phenomena called Elevation Dependent Warming (EDW); clearly analogous to greater warming at higher latitudes. This is bad, especially for Greenland, Antarctica, as well as for the 2 billion people using Third Pole runoff. 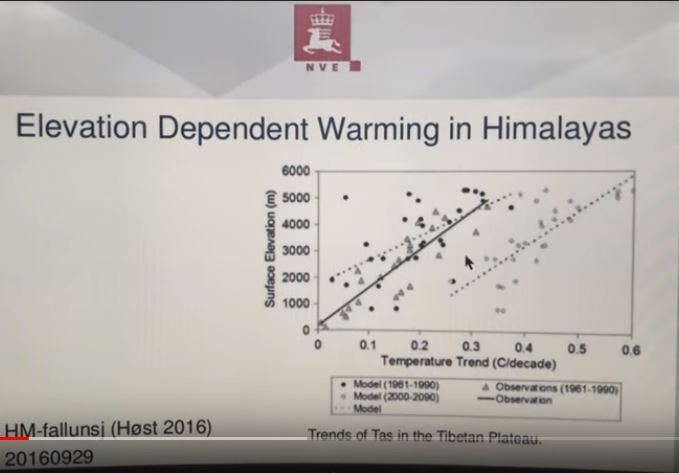 In the previous video I described how most alpine regions are warming two to three times faster at high elevations versus low elevations (and global average warming rates). Now I chat about feedbacks and processes that cause this, and how they vary with seasons and different regions. 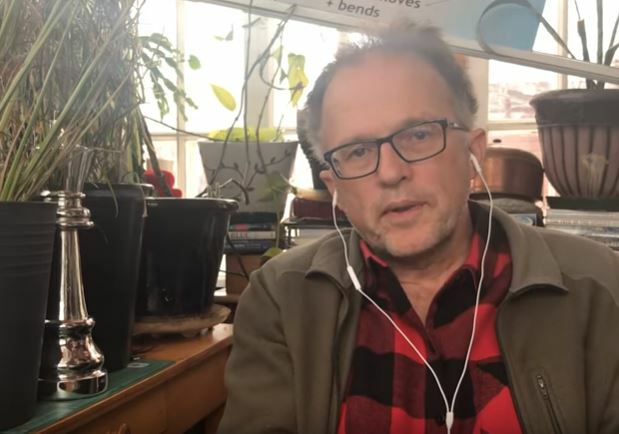 Albedo feedback, similar to that causing polar amplification, is one effect; others include upward creep of snow and tree lines, water vapour increases, cloud changes, aerosol loading changes, and both short-wave and long-wave radiation effects at altitude. "This drought is not going to end until we stop global warming,"
I asked some Green New Deal critics for alternative policy suggestions. Just about nobody in political life talks about climate change with the required level of alarm and fear. This will be a generational battle for survival. How can we grasp that? This entry was posted in Catastrophe, Climate, Climate Change, Global Warming, Rapid Climate Change, Science, Uncategorized, Warnings, Weather and tagged Third Pole, z DAR-dar-dry adiabatic lapse rate, z EDW-Elevation Dependent Warming. Bookmark the permalink. How many gigitons are being released in a given year? Do you think 50 gigitons have been released already ?